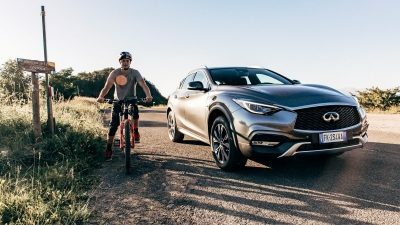 With QX30, find more control, more confidence, more power — no matter how far you go. 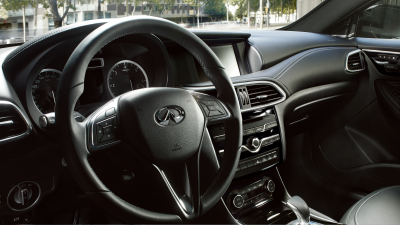 Leave shift delays behind with the 7-speed dual-clutch transmission. 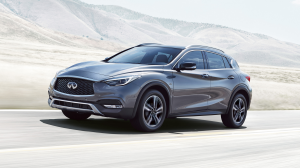 It efficiently handles QX30’s power by intelligently pre-selecting lower or higher gears before a shift needs to be made, which means you change gears as fast as you press the shift paddle. 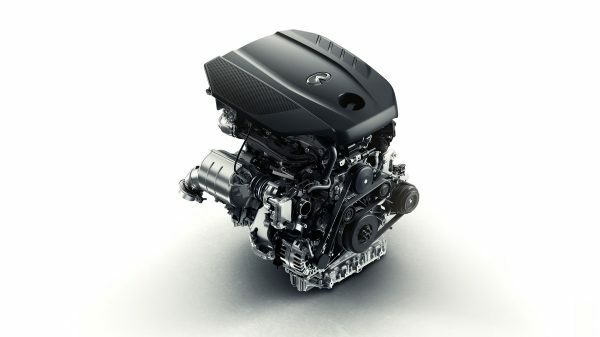 Turbocharged for stirring acceleration and even more torque, this four-cylinder diesel engine also offers you impressive fuel efficiency. 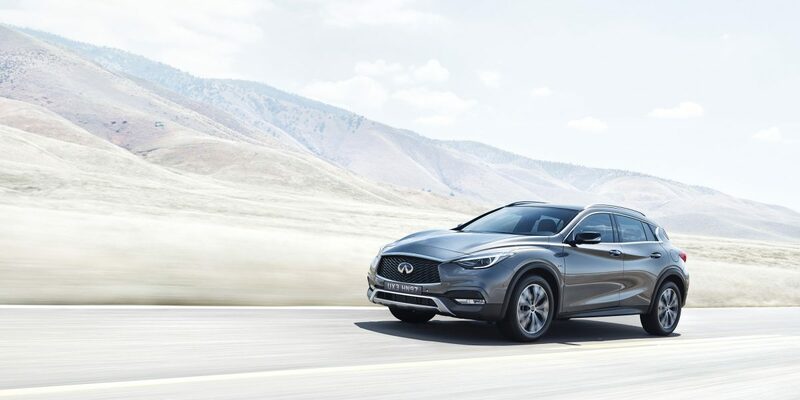 The QX30 harnesses a range of dynamic performance technologies to deliver a smooth, precise driving experience. Whether you navigate the streets or break away on the open road, find performance that keeps on giving. 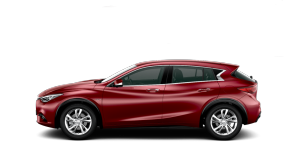 When road conditions change, Intelligent All-Wheel Drive responds by sending anywhere from zero to 50% of power to the rear wheels. 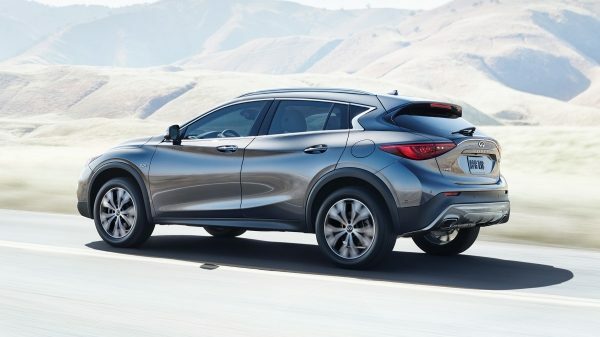 So you get four-wheel drive traction when you need it, front-wheel drive efficiency when you don’t. 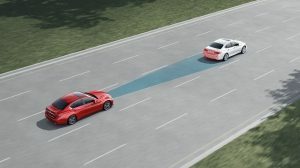 Avoid loss of traction while braking with Electronic Brake Force Distribution. 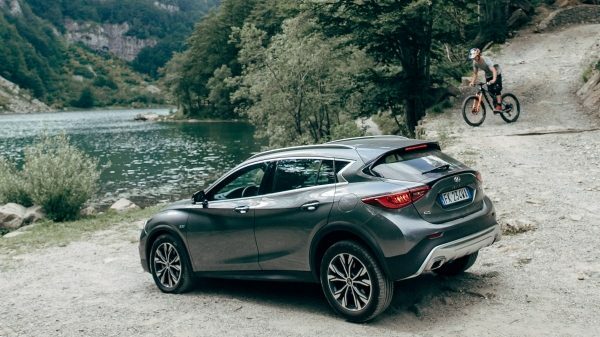 It intelligently distributes braking force to each wheel, depending on the conditions. This means you get better control while stopping and reduced front-end dive. 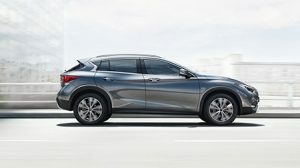 Sporty yet forgiving, QX30’s shocks hold the vehicle tighter as you turn while also softening the feel of bumpy roads. 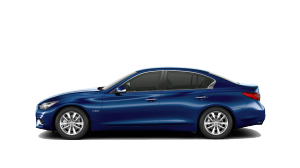 It’s a rare balance of responsive handling and a smooth ride. 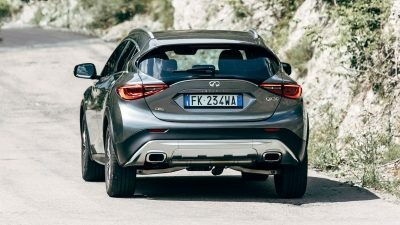 Giving an overall sporty feel, the speed-sensitive steering system is lighter at low-speed to make manoeuvres less demanding. As you reach higher speeds, it increases weight for more controlled cruising. 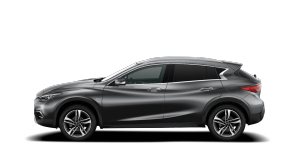 When you never know what the weather will throw at you, you need a car that is as comfortable on the city streets as it is in the ice and snow. 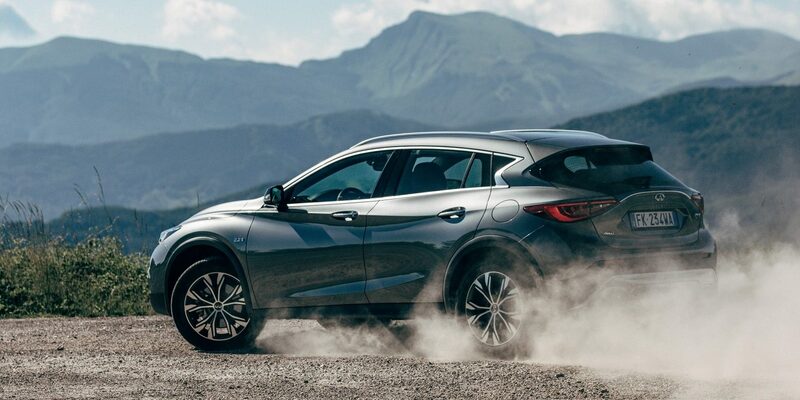 With Intelligent All-Wheel Drive, the QX30 sends power to rear wheels just when it is needed most – giving you the confidence to tackle anything from icy weather to heavy rain.